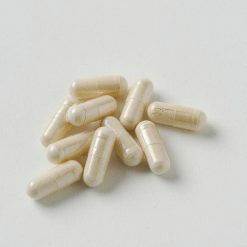 Taking 5 capsules a day provides 150mg of calcium, 2100μg of vitamin K, and 70mg of citric acid. Each package contains 300 capsules [280mg per capsule (volume of contents 230mg)] 2 months’ supply. 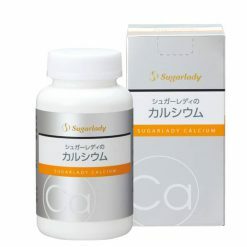 Our unique calcium supplement is a blend of eel bone calcium, vitamin K2 from natto (fermented soybeans), natural citric acid, and probiotic liquid. Bones from eels and other fish contain the most bioavailable source of calcium, called hydroxyapatite. It is a compound of calcium and phosphorus that is very easily absorbed by the body. As we all know, calcium is an essential nutrient for strong, healthy bones. One-fifth of the world’s population is deficient in calcium, which can eventually lead to osteoporosis. Fish bones also contain marine collagen, which, like collagen from land animals, is very beneficial for skin and bones. As an anti-aging nutrient, collagen has been shown to keep skin supple and moist and prevent the formation of deep wrinkles by decreasing active oxygen in the skin. In addition, collagen’s key role in forming new tissue and increasing bone mineral density means that it also helps the body become more resilient to injuries and wounds. However, marine collagen’s smaller molecular size means that it is more quickly and easily absorbed by the body than collagen from land animals. Finally, marine collagen is almost entirely composed of proteins and has a unique combination of amino acids. Memory-boosting tryptohan and tyrosine help to improve cognitive and liver function and to repair the oxidative stress that causes fatigue. Proline and lysine help the body to metabolize fat, making it an effective weight loss supplement as well. If you have been instructed by a doctor to refrain from consuming of foods that are high in vitamin K (such as natto), please do not consume this product. Take 5–10 capsules daily with water. This product contains eel bone calcium, brewer’s yeast, powdered fermented sour liquid, dextrin, powdered edible fats and oils derived from natto (contains vitamin K2), gelatin (from pigs) (some ingredients contain milk and soybeans).. This product is not suitable for anyone with allergies to milk, soy or gelatin. Origin of ingredients: eel bone (domestic). Prepared and packaged in Japan.